After school on Thursday, April 18th, at 12:15 PM, we invite you to join us in the Prayer Garden for a prayer service to ask for the healing of Mr. Francis Pineda. 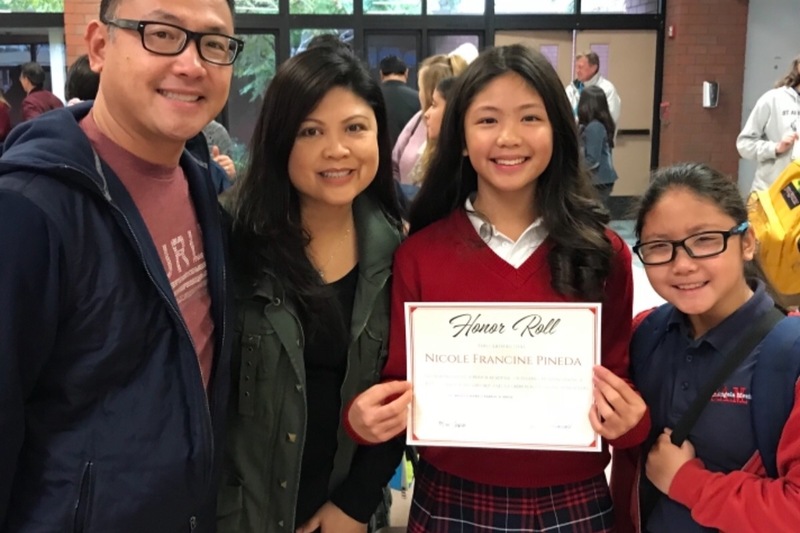 Francis Pineda is a father of two daughters at St. Angela Merici Parish school in 8th and 4th grade. He is the sole bread winner for the family. He recently underwent a serious surgery called the Whipple Procedure. The doctors discovered cancer in his pancreas shortly after surgery. Francis needs at least two months of recovery for this surgery. Following his recovery he will begin chemotherapy. The family is in need of assistance for medical, tuition and household expenses for at least the recovery period. Hopefully, Francis will be able to return to work while undergoing chemo. The family is reluctant to ask for assistance but is humbled by those who have reached out to them during this very difficult time. Any assistance is a blessing and will be appreciated. Click here for the link to the GoFundMe page. Gift certificates for meals would also be greatly appreciated.